In hair transplant field the shock loss term indicate that head scalp has been exposure to shock which may lead to cause hair falling. The main reason for hair transplantation is to move the hair from one place to another in the head scalp. When this procedure done in a correct way, patients will have natural solution for the hair falling except if there are some complications or any bad effects that will happen after the operation. Shock hair fall consider one of these problems and this term refer to the natural hair in the donor and receive area that fall after the hair transplant operation. This shock loss may happen for many reasons and the patient may feel annoyed when he see his natural hair is falling especially he did a surgery to stop the falling, but in many cases this hair will grow again and there are different ways will limit from this shock loss to happen. It is important to know that shock loss is not the same of normal hair falling that occurs after the operation. After doing the surgery probably you will lose the newly transplanted hair after a few weeks, this falling consider part of the hair growth process and it is not a big problem. The transplanted hair will start to grow again after few weeks. On the other hand, shock loss will affect the transplanted and natural hair. In some cases shock loss could happen because of the lack experience of the medical team, also it may happen if the donor area hair follicles start to be affected by "Dihydrotestosterone" hormone. Why shock hair loss happens? Some methods of hair transplant are more likely to cause shock loss than others. For example, during FUE hair follicles are picked from the donor area and transplant it in the receive area, during this stage some mistakes may happen and will lead to damage the grafts the grafts and lose them after that they can't give new hair anymore. Furthermore, the strip technique may cause shock loss if the doctor tried to take huge number of grafts in one session and does not close the strip place correctly, as a result this area will suffer from permanent hair loss. 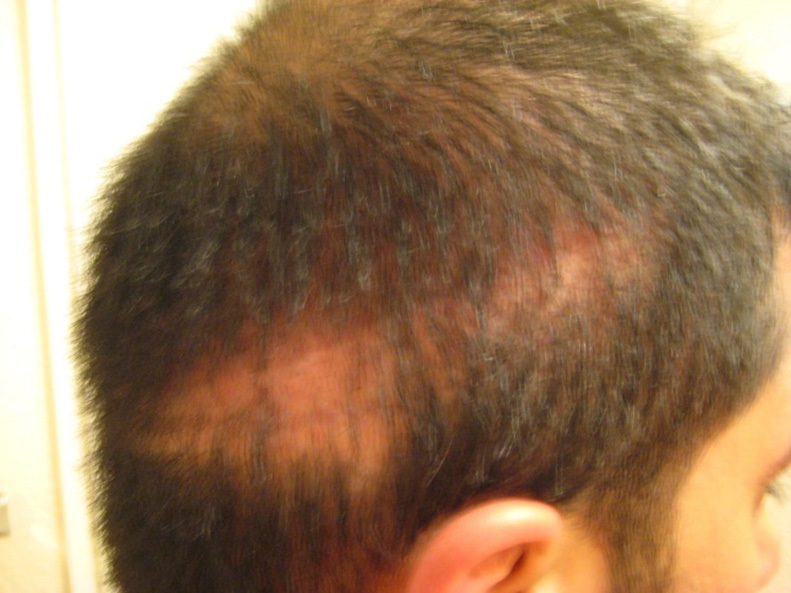 Also, shock loss may happen in the receive area of the head scalp and the reason of this that the follicles may be affected with "Dihydrotestosterone" hormone which is the reason of the genetic hair loss, this follicles will fall by the time but because of taking the follicles out and then transplant them again will increase the falling rapid rate. If the doctor transplant the grafts too closely or make the channels too large, as a result the surrounding natural hair can fall after the operation. Furthermore, choosing the beast clinic for hair transplant is necessary to achieve best results because hair transplant is a cosmetic surgery that need experience and accuracy to give the patient the look he wants. There are two types of shock loss which they are (Permanent and temporary). What is temporary shock loss? This type happen for many reasons and the most characteristic is that the hair will grow again after a while. During any hair transplantation when we transplant hair in areas that have little number of weak hair temporary fall may happen. After transplanting the grafts in head scalp) receive area) the natural hair that surround the receive area could face a shock and this shock is temporary and common after hair transplant surgeries. During hair transplant surgery using the strip method part of the donor area which is the back side of the head scalp will be removed by cutting the strip and preparing new grafts which will be ready for transplantation. When we remove the strip the doctor should close the wound with stitching. This area may have a shock while closing the wound and this will lead to disable the blood flowing and cause a shock for the surrounded area, as a result the hair that surround the donor area will fall and this falling is just temporary and the hair will grow again after the wound is cured. This type of falling could appear as spots or the full strip area. What is permanent shock loss? This type of shock happen as a result of a permanent shock to the grafts and they can't produce new hair again. Furthermore, this shock happen because of the grafts that has been affected by "Dihydrotestosterone" hormone which is responsible for hair falling and the boldness and this means that they are already endanger to fall in the next few years. Also the temporary shock could happen as a reason of destroying important structures while taking the grafts from the donor area to the receiving area such as hair roots, so the medical team should have experience and accuracy while taking the grafts. Shock loss is not very common to happen after the hair transplant operations and if it happens probably it is just temporary and the hair will grow again after few months. Moreover, because hair transplant surgery aim to get back the lost hair not lose more hair, many patients prefer to avoid this so they see that using medications like (minoxidil) will decrease the shock loss, also choosing the right clinic with modern equipment and professional doctors is the first step to insure not suffering from shock loss. Clinicana hair transplant located in Istanbul- Turkey in acibadem hospital which is one of the luxurious hospitals in Istanbul and have other branches in Turkey and many international medical certificates are accredited ( JCI-ISO). All of these facilities and special features make Clinicana Hair Transplant Center able to provide you with the best medical care.